Advertising online enables you to expand the reach of your company. TheDailyRecord.com and the TDR Insider daily news blast offer an electronic window into today’s fast-paced world. Readers go online multiple times a day to stay up-to-date with breaking business and legal news. 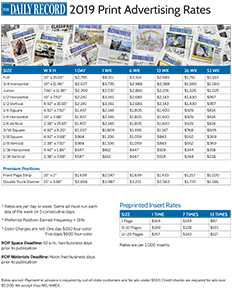 The Daily Record offers a variety of annual special products, weekly editorial feature sections and a respected weekday newspaper. Contact advertising@thedailyrecord.com for more information. 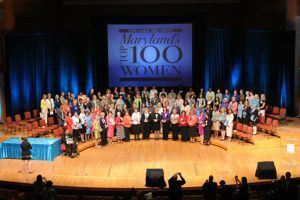 The Daily Record hosts several professionally produced, annual awards events recognizing Marylanders who are outstanding in their profession, in the community and in their commitment to mentoring. 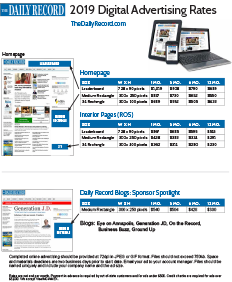 The Daily Record offers a variety of sponsorship levels, from becoming our presenting partner and taking an active role in the event to smaller sponsorships that include recognition for your company through signage and the program guide. No matter which sponsorship level you choose, you will align your company with Maryland leaders who are making an impact on our state. The Daily Record’s print and online recruitment and directory ads are an inexpensive way to reach your target audience. If you are looking to promote a service or product and to expand your business, this is the place to be and be seen. All recruitment and directory options include print and online advertising for one low price.